This is an earlier post that I am moving over from my original blog. It is one of my most meaningful experiences and I like to look back on it often. It keeps me grateful and less likely to get wrapped up dramas or concerns that I cannot control. Can you teach someone else to be grateful? Do you just live it by example? Why is it so difficult to just accept what we have and live each day with a grateful heart and mind? Is it true that if you practice gratefulness daily that it will become a habit? Research has shown that it takes 21 days to form a habit. That is just three short weeks. 504 hours, part of which is spent sleeping. 30,240 seconds. 1 Mississippi 2 Mississippi 3 Mississippi. While googling the topic, I found an interesting article on Psychology Today about happiness. 10 Ways to Make Yourself Happier in 30 Seconds or Less. It’s worth a read. Gratitude is in there. Tracy Wilson, a woman I know here in Durham has also started a daily gratitude journal. I have subscribed to her updates and enjoy reading them now each morning, along with Sean Dietrich‘s Facebook posts. (If you are not a FB user, I’ve linked his website.) It is how I choose to begin my day. Now, back to my original Gratitude Project post. Abby is a very wise young lady. I continue to be amazed by her. And I am so grateful that we bonded last school year. What happens when a student and a teacher make a lasting impact on each other? I realize that I have only known Abby for two years, but somehow it seems much longer. There are a lot of things I could say about Abby, but this video will tell you part of our story. See for yourself what an amazing young woman she is. Many thanks to SoulPancake and their video on The Science of Happiness. We used a short excerpt from the video. If you wish to watch it in its entirety and find out more about their project, click on the link. Many thanks also to the amazing Mr. Fitz who shared the video with us and inspired us to do our presentation in front of the whole middle school! And finally, I would like to thank the incredible Abby who makes me want to be a better teacher and person every single day. I refuse to think about next school year without you and your classmates. 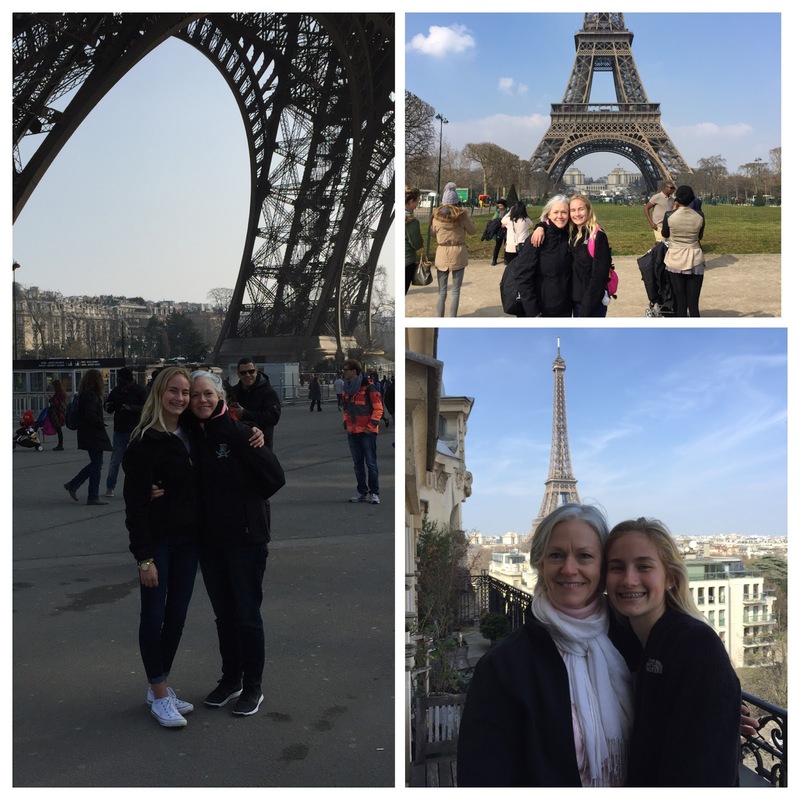 We’ll always have Paris, Abby… and the Plaza Athénée and Dr. Lantieri –what great adventures! I hope that we will have many more! If you watched the video, I hope you understand the reason why showing appreciation is so important. You never know how far a simple thank you, phone call, email, or just a smile could go. And you don’t have an infinite amount of time with the people you love either. For me, showing my gratitude, as simply as sending a letter, led me to having one of the best relationships of my life. I’ve realized that life is short, and there is so little time to stay the things you mean to the people you love, so say them while you can. 1. Cook the ground sausage in a saucepan until browned, strain all the grease out and put the sausage back into the saucepan. 2. Add the Rotel and Velveeta, cook over medium heat for 5 minutes, or until the Velveeta is completely melted, stirring frequently. 3. Serve warm with tortilla chips, I recommend Tostitos Scoops because you can scoop up a ton of queso with those things, they’re also good for making these really good mini nachos by the way. Bon appétit, y’all. I hope that you have someone in your life to be grateful for each and every day. Tell them. Start your own Gratitude Project. You will be amazed at the results.